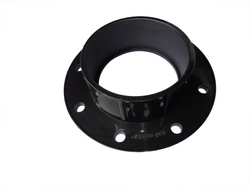 Manufacturer of a wide range of products which include collar flange, plastic tailpiece flange, pvc flange, polypropylene flange, pvc plastic flange and plain collar flange. 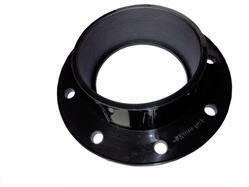 We are leading manufacturers of Collar Flange in the industry. We are sincerely committed to quality & service to our customers. Our reputation in the market is largely attributable to our precision-designed Plastic Tailpiece Flange. Our provided tailpiece is designed under the vigilance of our experienced professionals using top-notch quality plastic and modern technology in line with set industry standards. Our in-depth knowledge and industrial expertise enable us to offer a distinguished range of PVC Flange. To allow easy functionality and inter-changeability, these are designed to have standardized dimensions. We design this flange by using the best quality ploy vinyl chloride and innovative technology. 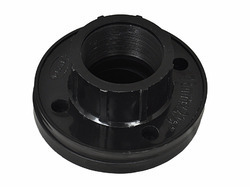 Being a well-established organization, we bring forth an excellent assortment of PVC Flange. Our offered flange is an external or internal ridge, or rim (lip), for strength, as the flange of an iron beam such as an I-beam or a T-beam. The provided flange is wheels with a flange on one side to keep the wheels from running off the rails. 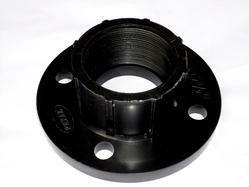 We offer this flange in varied sizes and specifications. We have established ourselves as one of the prominent organizations know for manufacturing and supplying a qualitative range of Polypropylene Flange. High on performance and best in quality, these Plastic Flanges are widely demanded in various sectors of the industry. 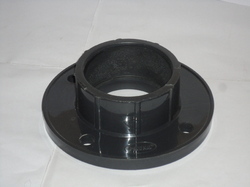 We are offering PVC Plastic Flange to our client. 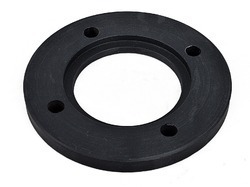 Our firm is instrumental in manufacturing and supplying a wide range of Plain Collar Flange. Owing to their unmatched features like longer service life, corrosion & abrasion resistance, compact designs and low maintenance, these products are widely appreciated by the customers. Our range is manufactured by using premium quality raw material and advanced technology. We are offering Pipe Flanges to our client. 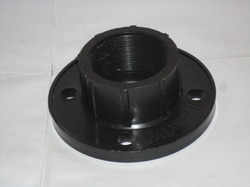 We are offering Plastic Flange to our client.